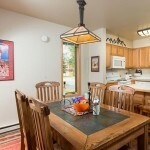 *Blocks from downtown Jackson *Close to the Start Bus *Sleeps up to 12 513 S. Cache is located in the Cache Commons Townhomes and is a short walk to skiing at Snow King Resort, ice skating, hiking, or a stroll in the heart of Jackson Hole for dining, shopping, and gallery options. 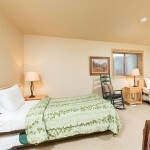 In addition, the unit is approximately 15 minutes to the Jackson Hole Mountain Resort and 20 minutes to Grand Teton National Park! 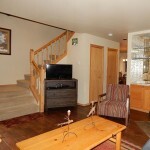 This condo provides a great location for your Jackson Hole vacation. Enjoy this 4 bedroom, 3.5 bath condo with your friends and family and take advantage of it's location, with High speed wireless internet, washer/dryer, cable television, DVD, fully-equipped kitchen, linens, microwave, and deck. The condo is in a part of Jackson that allows you to easy access all the natural beauty and the conveniences of our great town! Lic. #6549-19 /services/short-term-rentals/ Cancellation policy: All cancellations will forfeit the 5% resort/processing fee. We require half of the rent, half of the taxes and the full processing fee at the time of booking (non-refundable unless property is re-rented). The remaining balance is due 45 days prior to arrival (non-refundable unless the property is re-rented). Deposit Policy: 50% of the rent and taxes plus the full processing fee is due at the time of booking. The remaining balance is due 45 days prior to arrival and will be automatically charged to the account on file. Cancellation Policy: Cancellations made 46 days, or more, prior to the day of arrival will forfeit all monies paid, unless the accommodation is re-rented for unused nights reserved. Cancellations made within 45 days to the day of arrival will forfeit all monies paid and due, unless the accommodation is re-rented for unused nights reserved. All cancellations will forfeit the 5% resort/processing fee. 1. CHECK IN TIME IS 4:00 P.M. AND CHECK OUT TIME IS AT 10:00 A.M. unless other arrangements are made. A $50 late fee will be charged per hour past the check out time unless other arrangements are made. Mountain Property Management reserves the right to remove the Tenant's belongings from the premises if the property has not been vacated within the arranged time. QUIET HOURS are 10:00 pm to 8:00 am. 2. 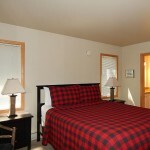 Payment Requirements: There is a 4-30 night minimum, depending on the season or property. One- half of the rent, tax and full processing fee are due at the time of booking. The remaining balance is due 45 days prior to arrival. 3. 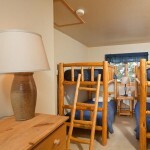 Taxes & Fees: A 6% sales tax and 2% lodging tax will be applied on all rentals 29 nights or less. 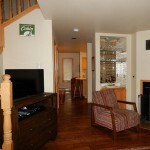 A 5% resort/processing fee will be applied to all rentals in the valley. All monies will be payable in advance to the Owner’s authorized agent, Mountain Property Management, at the following address: P.O. 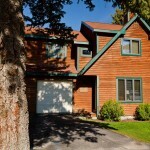 Box 2228, or 250 Veronica Lane, Jackson, Wyoming 83001. 4. Damage Waiver: There is a $50 non-refundable damage waiver as more particularly set forth in Paragraph 17 below. For 31 day rentals of houses or condos and select properties there is a $1,000 refundable damage deposit. 5. Cancellation Policy: Cancellations made 46 days, or more, prior to arrival date will forfeit all monies paid, unless the accommodation is re-rented for unused nights reserved. Cancellations made within 45 days of arrival date will forfeit all monies paid and due, unless the accommodation is re-rented for unused nights reserved. All cancellations will forfeit the 5% resort/processing fee. We do offer vacation rental insurance which is 6.95% of the rental and must be purchased before the final payment date (45 days). 6. WEATHER-There are NO REFUNDS for weather conditions. 7. Utilities: Owner shall be responsible for all utilities including electricity, water, and the base monthly telephone service charge. Tenant shall be responsible for all long distance telephone charges incurred during the lease period. 8. Use: The premises shall be used exclusively as a vacation residence by members and guests of the tenant’s immediate family. Any changes in the number of people must be approved by Owner’s agent 10 days prior to arrival. Any unauthorized overnight guests, parties or pets will result in forfeiture of all monies and termination of rental agreement. 9. Keys: Lost garage door opener will incur replacement costs of $50.00. 10. Hot Tub: If your property has a private hot tub, please remember there is a certain health risk associated with this facility. Persons using the hot tub do so at their own risk and the owner assumes no responsibility for accident or injury. Our spa maintenance crew sanitizes refills and replenishes chemicals in all tubs prior to your arrival; therefore, it may not be warm until later that evening. DO NOT STAND OR SIT ON THE HOT TUB COVERS. Hot tub covers are for insulation purposes and are not designed to support a person or persons. They will break and you may be charged for replacement. Remember to close the hot tub cover when not in use so the water remains warm. 11. Animals: No animals shall be brought on the premises without prior consent of the owner. 12. Vehicles: Boat trailers, snowmobile trailers, motorcycle trailers, travel trailers and Recreational Vehicles shall NOT be kept on the premises. 13. Parking: Parking is limited to the specified number of vehicles for the property listed in your information book. Vehicles are to be parked in the designated parking areas only: driveway and garage (if provided). Parking on the road and/or blocking another driveway is not permitted. Any illegally parked cars are subject to towing; applicable fines/towing fees are the sole responsibility of the vehicle owner. 14. Fireplace Use: If the fireplace is wood burning, firewood is provided in the winter months and is located in the garage or the on the deck. Firelogs are used at specific properties and are also provided next to the fireplace. Please open the flue prior to starting a fire and close the flue only after the ashes are cold. Ashes must be placed in the metal can located next to the fireplace or on the deck. Please keep glass fireplace doors open during use. Extreme heat can break the glass. Please keep fireplace screens closed while burning to prevent sparks from hitting the floor or furniture. 15. Ordinances and Statutes: Tenant shall comply with all statutes, ordinances and requirements of the county, state and federal authorities now in force pertaining to use of the premises. 16. Assignment and Subletting: Tenant shall not assign this agreement or sublet any portion of the premises without prior written consent of the Owner. 17. Maintenance, Repairs or Alterations: Tenants shall be responsible for damages caused by their negligence and that of their family or invitee’s and guests. Tenant shall not paint, paper or otherwise redecorate or make alterations to the premises, or commit any nuisance or act which may disturb the quiet enjoyment of surrounding property owners. In the event there is a need for maintenance or repairs of any type, Tenant agrees to call Owner’s agent, Mountain Property Management, and agent will make arrangement for repairs to be made in a timely manner. 18. Damage to Premises: If the premises are so damaged by fire or from any other cause as to render them uninhabitable, then either party shall have the right to terminate this lease as of the day on which such damage occurs, through written notice to the other party, to be given within fifteen (15) days after occurrence of such damage; except that should such damage or destruction occur as a result of the abuse or negligence of the Tenant, or it’s invitee’s, then Owner only shall have the right to termination. Should this right be exercised by either Owner or Tenant, then rent shall be prorated between the parties as of the date the damage occurred and any prepaid rent and unused security deposit shall be refunded to Tenant. If this Lease is not terminated, the Owner shall promptly repair the premises and there shall be a proportionate deduction of rent until the premises are repaired and ready for Tenant’s occupancy. The proportionate reduction shall be based on the extent to which the making of repairs interferes with Tenant’s reasonable use of the premises. 19. Entry and Inspection: Owner, or authorized agent, shall have the right to enter the premises: a) in case of emergency; b) to make necessary or agreed repairs; c) to show property if listed for sale. unlawful act of Owner, or his agent. Tenant agrees to hold Owner harmless from any claims for damages, no matter how caused except for injury or damage for which Owner is legally responsible. 21. Physical Possession: If Owner is unable to deliver possession of the premises at the commencement hereof, Owner shall not be liable for any damage caused thereby, nor shall this agreement be void or voidable, but Tenant shall not be liable for any rent until possession is delivered. Tenant may terminate this agreement if possession is not delivered within the two (2) days of the commencement of the term hereof. 22. Damage: A $50.00 damage waiver is charged at the time the reservation is made. This damage waiver is non-refundable and shall secure the performance of the Tenant’s obligations hereunder up to $500.00. If damage exceeds $500.00 (or $1,000.00 for 30 night or more rentals and some select properties), the Tenant’s credit card will be charged for damages exceeding $500.00 or $1,000.00 as the case may be. The $1000 deposit for 30 night or more rentals, paid by the TENANT, will be refunded by the LANDLORD, in whole or part, to the TENANT within thirty (30) days after lease termination. 23. 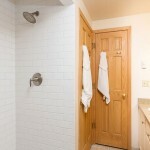 Cleaning of the unit after the Tenant vacates will be paid by the Tenant unless otherwise stated. 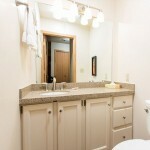 Any additional cleaning/damage required will be deducted from the Tenant’s damage deposit. Maintenance people may be employees of Mountain Property Management. Charges for these services are available upon request and may be subject to change. 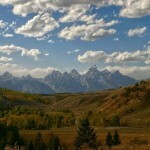 All Mountain Property Management employees are covered by Wyoming Workers Compensation Insurance to protect the property owner and Mountain Property Management. The home is provided with pillows, linens, blankets, towels, kitchen towels comforters, hand towels and wash cloths including extras located in the closets. For rentals two weeks or longer, a weekly linen exchange is included. 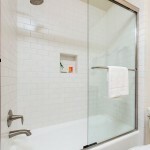 A cleaning service to clean the house and linens on your departure is included on your invoice. You are responsible that all debris, rubbish and discards are placed in plastic bags and transferred to the large trashcans in the garage or proper trash receptacle applicable to your property. Please roll the trash can to the curb early morning of the trash day indicated above the trash receptacle in the garage. 24. Clubs: Memberships and use of facilities at the Teton Sports Club, the Jackson Hole Golf and Tennis Club, and Teton Pines are NOT included in the rent, unless otherwise stated for your specific property. The Teton Sports Club is a private fitness facility offering a complete gym, indoor/outdoor hot tubs and in the summer an outdoor pool and tennis courts. Non-members are welcome at the Teton Sports Club for a daily fee. 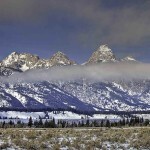 Teton Pines and JH Golf & Tennis are open to the public for golfing. Their pool and tennis facilities are not open to the public. 25. Attorney’s Fees: In any legal action brought by either party to enforce the terms hereof or relating to the demised premises, the prevailing party shall be entitled to all costs incurred in connection with such action; including a reasonable attorney’s fee. 26. Waiver: No failure of Owner to enforce any term hereof shall be deemed a waiver. The acceptance of rent by Owner shall not waive his right to enforce any term hereof. 27. Time: Time is of the essence in this agreement. 28. No Smoking: Unless otherwise indicated at the rental property, all properties are regarded as non- smoking units; therefore, there is to be no smoking inside or outside of this rental property. 29. Internet: The property reserved/occupied by Tenant may provide high speed internet service. This service may be used only for lawful purposes. Transmission of any material in violation of any federal or state statute or regulation is prohibited. This includes, but is not limited to, copyrighted materials, indecent or obscene material, or material protected by trade secrets, or intellectual property rights. The Tenant agrees to hold harmless the Owner and Mountain Property Management from any claims resulting from your use of this service. The Tenant acknowledges that pursuant to the Digital Millennium Copyright Act, Charter/Spectrum Communications may be required to release identifying information about the Tenant in connection with an infringement of copyrighted materials. In addition, Charter/Spectrum Communications expressly prohibits the posting or transfer on the service of sexually explicit images, material inappropriate for minors, or other offensive materials. By signing, the Tenant expressly acknowledges that he/she will not post or transfer such materials on the service, and acknowledge that the Tenant is solely liable for all activities conducted during their occupancy of the property. 30. Lead Paint Disclosure: Tenant understands that if this dwelling was built prior to 1978, it may or may not contain lead paint, which may be dangerous if swallowed. 31. Joint and Several Liability: Each Tenant shall be jointly and severally liable for all duties and obligations of this Lease. 32. Prior Agreements. No prior agreement or understanding not contained in writing herein shall be effective. Furthermore, Owner, other than what is specifically written and set forth herein, makes no other or further representation regarding the nature, character and quality of the premises to be rented, and no representation shall be deemed to exist or be material unless and until it is reduced to writing and signed by the parties. This Rental Agreement may be modified in writing only, and must be signed by the parties in interest at the time of the modification. It constitutes the entire agreement of the parties. If any provision in this contract held by any court to be invalid, void or unenforceable, the remaining provisions shall never the less continue in the full force. 33. Law and Jurisdiction. This Agreement and the rights and obligations of the parties hereunder shall be construed in accordance with and governed by the laws of the State of Wyoming, without giving effect to the conflict of law principles thereof. The parties also agree that the proper forum for any litigation arising under the terms of this Agreement shall be the state courts of the State of Wyoming, Ninth Judicial District. Any forcible entry and detainer action shall be brought in the Circuit Court of Teton County, Wyoming. The parties waive the right to a jury trial for any action brought under this Lease. A Travel Guard travel insurance plan can help cover your vacation investment, offset expenses from travel mishaps and provide you with emergency travel assistance. To learn more about all of the benefits of purchasing a Travel Guard travel insurance plan, please click here or contact Travel Guard at 1.877.249.5376. Coverage is offered by Travel Guard Group, inc. and limitations will apply; click here for full disclaimer. Check-in time is 4:00p.m. and check-out time is 10:00a.m. unless other arrangements are made. A key to the unit will be located under the front door mat to allow you to go directly to the property. If your rental property has a keypad entry, please use the last 4 digits of your phone number provided, followed by pressing the # symbol. AFTER HOURS ARRIVAL: If you have any questions during the arrival process (such as finding your unit), or for emergencies, please call (307) 733-1684.